Skyfall, the new Bond movie, due to be released in October 2012 to coincide with the 50th anniversary of the hugely popular franchise, has seen significant production budget cuts. Instead of Bermuda, Bahamas, Biarritz or the pick of other exotic locales, the cast and crew of the latest Bond movie are still reeling from the decision to base at least some of the movie in Britain’s less than exotic Bognor Regis. Bognor is an East Anglia seaside resort which prompted an ailing King George V, when asked if he would like to recuperate there, to exclaim ‘Bugger Bognor’. It is perhaps with these gasp inducing budget cuts in mind that the increasingly popular British designed and Swiss made luxury watch brand Christopher Ward decided to release its own budget version of the ‘Big Crown' Rolex Submariner with a striped NATO style strap. 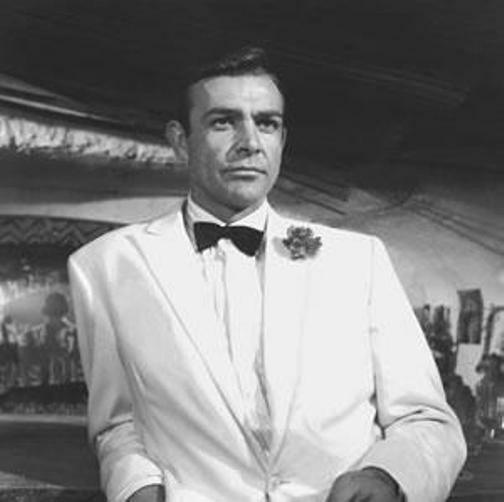 The C60 Trident Pro Automatic – a watch that takes its inspiration from the Royal Navy Commander’s most iconic watch, which Sean Connery, dressed in a white tuxedo, first consults 2 minutes and 42 seconds into Goldfinger. Christopher Ward took great care to analyse which of Bond’s many watches best captured the spy’s personality and character. Taking its design cues from the Rolex Submariner as well as its even more famous ancestor, the 1954 Rolex GMT Master, which appeared just as Ian Fleming was writing his first Bond books, they arrived at the C60 Trident Pro Automatic. In all aspects it's a watch true to Christopher Ward’s mission to deliver quality Swiss assembled watches for a fraction of the price of the top Swiss brands. The C60 Trident Pro Automatic, powered by the famous Sellita SW200-1 movement is designed to take a lot of the rough and tumble typical of a Bond movie, even if it is in the less than typical surrounds of Bognor Regis. 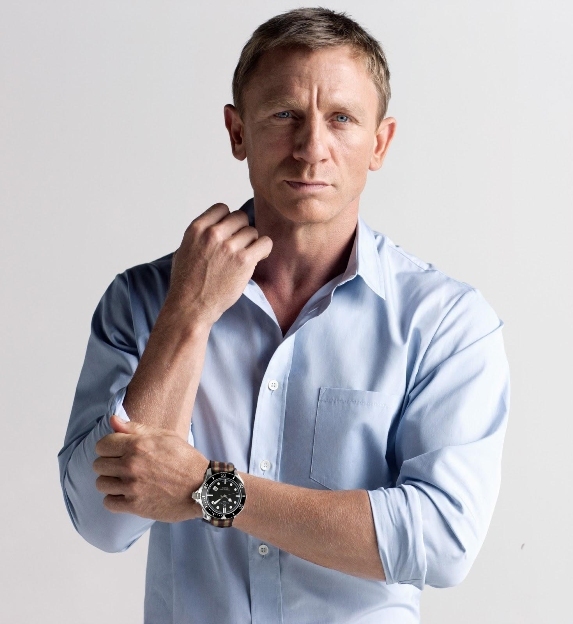 Budget Bond: Will Daniel Craig swap his Omega Planet Ocean for a CW C60 Trident Pro? 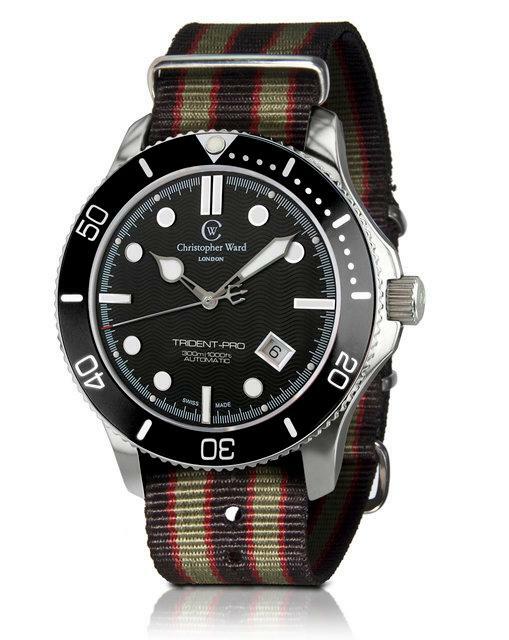 The distinctive NATO strap is thought to be an accurate approximation of what would be worn by a Commander in the Royal Navy at the time – particularly if a spot of covert diving was on the agenda. Despite the budget cuts on Skyfall, it’s likely the movie will, as always, deliver in terms of pace, thrills and quality. And at just $550, the CW60 Trident Pro will do just the same.